As one of the most successful composers of the modern era, Andrew Lloyd Webber‘s repertoire includes some of the world’s most celebrated musicals; Sunset Boulevard, Cats, Aspects Of Love, Joseph and the Amazing Technicolor Dreamcoat, Jesus Christ Superstar, Evita, Starlight Express, The Phantom of The Opera, School of Rock and Love Never Dies – to name but a few. In celebration of his 70th birthday this March, ANDREW LLOYD WEBBER UNMASKED: THE PLATINUM COLLECTION will be available March 16th through UMe / Polydor. 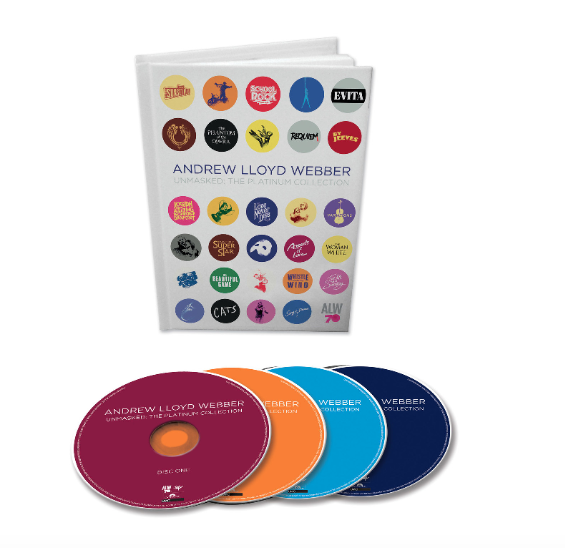 The collection is personally curated and overseen by Lloyd Webber to include classics from his earliest work starting with Joseph and the Amazing Technicolor Dreamcoat through his most recent School of Rock. Previous What Do Your White Blood Cells Have To Do With The Flu?